Mick McCaffrey previously worked with the Evening Herald and Sunday Tribune. 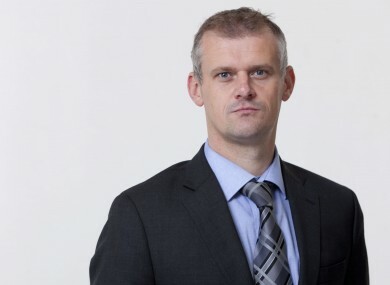 SUNDAY WORLD JOURNALIST Mick McCaffrey has been appointed as news editor of new TV station UTV Ireland. The award-winning writer currently holds the position of senior investigative journalist at the INM paper. McCaffrey began his career with the Evening Herald, worked as both news editor and security editor with the now-defunct Sunday Tribune, and is author of three books. Mick is an exceptionally talented journalist who has covered some of the most challenging and sensitive stories, both home and abroad. In August, a number of voluntary redundancies were announced at the Sunday World under a partial staff merger with The Herald. Stephen Rae, INM editor-in-chief, said the moves were part of a “fundamental restructuring of the production and reporting process”. Other recent appointments to UTV Ireland include Newstalk Breakfast’s Chris Donoghue as news anchor, and RTÉ’s Paul Colgan as economics editor – the first on-air face to leave the state broadcaster. The station is due to be launched in 66 days. Email “Sunday World journalist heads to UTV Ireland as news editor”. Feedback on “Sunday World journalist heads to UTV Ireland as news editor”.